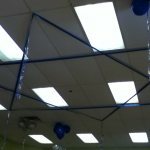 Bat Mitzvah party, underwater theme. 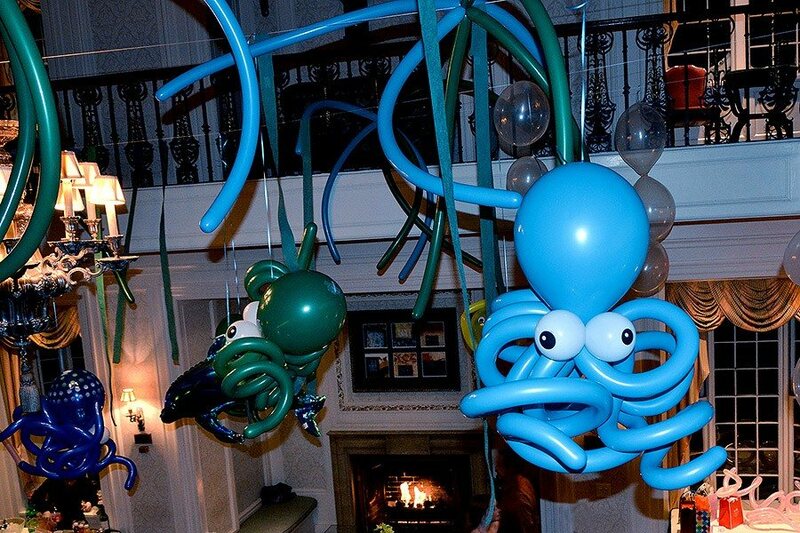 We have created all kind of creatures, but the octopus lends itself to be the easiest to reproduce using balloons. 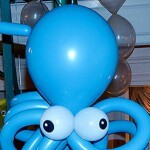 Our big octopus is the most popular creation we took the picture of, these are small ones, all colors and shades. They were suspended from the ceiling with dolphins, air bubbles and sea weeds to give guests the filling they are under the water.